Die Cut Handle Bags are available in any color, size and thickness. The handles can be reinforced with a fold-over, making the handle area stronger and reinforcing the upper portion of the bag. 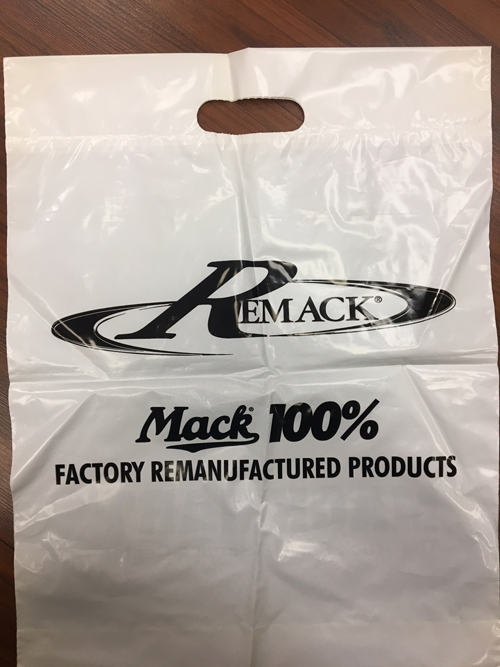 These high quality bags are often used at trade shows to promote your business and in retail stores to carry out products. Also available with a tear-off coupon at the bottom bag. Available in a one-ply or double wall and features a cut out handle. 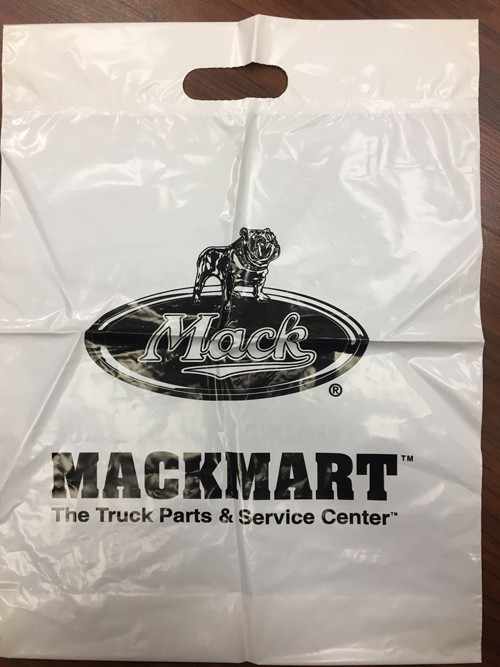 Customizing and adding your logo to our Die Cut Handle Bags allows you to appropriately convey your brand and spread the word while simultaneously providing top-notch packaging to your customers! Learn more about our die cut handle bags by reading our Die Cut Handle Bags FAQs.